MORI allows you to print Avery 5160 (3x10) and 5161 (2x10) labels by first generating a PDF document that you then print onto the labels. 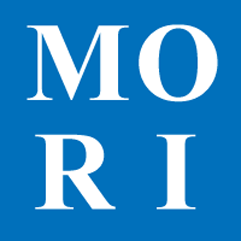 Because of the precise nature of label printing, the PDF for MORI is a full 8 1/2 x 11 inches so that we can say, down to the dot, where the information should be printing on the label. Some web browsers have taken to displaying PDFs in the browser itself and add a little tool bar at the top of the browser window. To ensure that the tool bar isn't covering anything in the PDF, they add a top margin to each page. Unfortunately, they don't remove the margin when you print it. To fix this, look for a download button in that toolbar and download the original PDF and open it in Adobe Acrobat Reader. Many PDF programs are written with the understanding that printers cannot print all the way to the edge of the page. So, to be helpful, they shrink, or scale, what's being printed to fit what it thinks will be the printable area. If you are experiencing this issue, look for a setting like "shrink to fit" or "scale to X%" where X is less than 100, and make the appropriate correction. This exact setting varies from PDF program to PDF program and even from version to version, so we're not going to confuse you with a screen shot. Just understand that the PDF program is squeezing the output, and you want to disable that.